The man who state authorities called the "mastermind" of rental scams pleaded guilty Wednesday to a felony charge of defrauding Southern California customers who were looking for affordable rental homes and apartments. 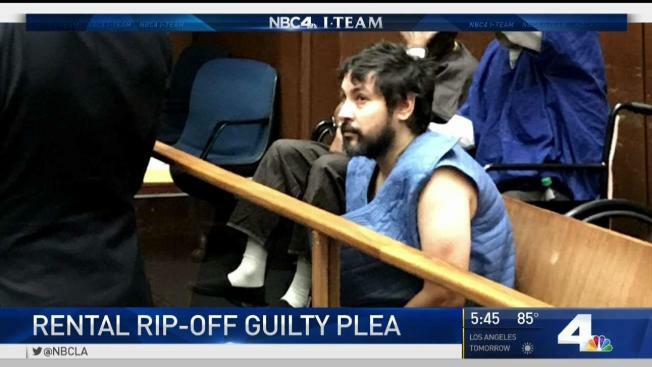 As part of a plea agreement, Richard Rodriguez of Alhambra received a three-year suspended jail sentence and five years supervised probation in exchange for pleading guilty to conspiracy to defraud customers of his rental listing business, Superior Consulting in Rowland Heights. Superior is just one of numerous rental listing agencies run by Rodriguez over the last 20 years. "As a term and condition of probation, he has to provide restitution to the over one thousand victims and he's no longer allowed to be in any location where rental services are offered," Los Angeles Deputy District Attorney Jessie McGrath said. 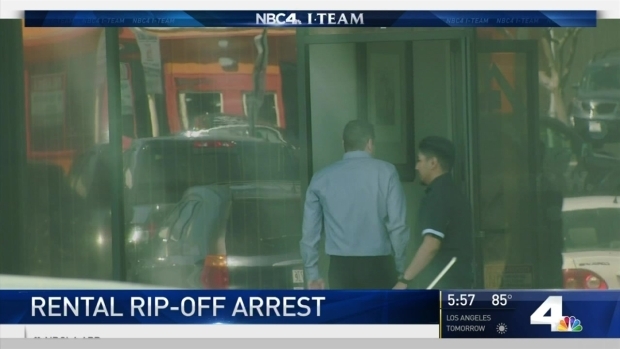 The NBC4 first exposed Rodriguez and his "rental listing" businesses in 2012. The I-Team reported that Rodriguez or his employees asked customers to pay them $200 cash, and in return they promised to provide listings of affordable apartments and homes to rent. A man who authorities say scammed thousands of locals looking for rental homes remained behind bars Monday after making his first appearance in court. Joel Grover reports for the NBC4 News at 6 p.m. on Monday May 1, 2017. Reina Gonzales says she was "lured" into Rodriguez's rental scheme when she called a number on a Craigslist advertising an affordable apartment. She was told to come into Superior Consulting and fill out some paperwork. When she arrived, Gonzales says they asked for $200 cash and gave her a list of apartments she says didn't exist or were not for rent. "He stole my money," Gonzales said about Rodriguez and his employees. "I want Richard Rodriguez to serve time, all of the workers. I want justice." Gonzales is one of the 1,095 customers identified by the Los Angeles County Sheriff's Department and the Los Angeles County District Attorney's Office who are now entitled to a refund of the $200. If Rodriquez violates the terms of his plea agreement, he would have to serve the remainder of his three-year jail sentence, according to McGrath. "I think this is the first time that he's really had to face the music that if he engages in this type of activity, he's going away for a long time," said McGrath. "If he's even seen in one of these businesses, he's going away for 3 years." The I-Team has identified at least six rental agencies, in three counties, where Rodriguez and his associates conducted business over two decades. Local and state officials said Rodriguez may have victimized thousands of people during that time. Los Angeles County Sheriff's Deputies have arrested the man state authorities call the "mastermind" of rental scams. Joel Grover reports for the NBC4 News at 11 p.m. on Thursday, April 27, 2017. Rodriguez already served 49 days behind bars before pleading guilty. And customers like Reina Gonzales may eventually get their money back if he meets the restitution terms of his plea deal. He has five years to pay back his victims according to the Assistant District Attorney. "I don't want to see other people victimized. And getting a hammer over him to keep him from doing this will protect those other people, I certainly hope," McGrath said. Seven of Rodriguez's employees were also charged with a felony. One of them, Frank Bennett Jr., turned himself into authorities last month. His case was postponed until July 18. The other defendants are still at large and the authorities have issued warrants for their arrest.